I have a thing for a good shirtdress and especially if it is plaid. This one is almost sold out but I linked a few similar ones that I really love. 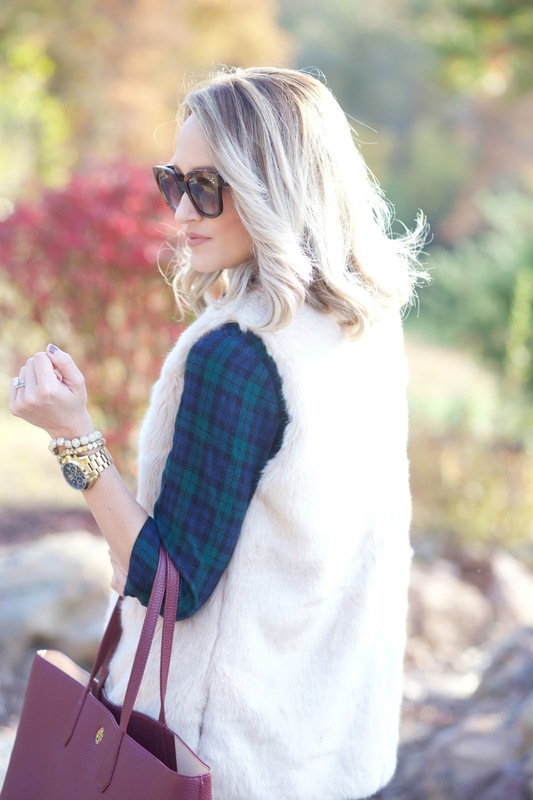 Plaid and a faux fur vest is one of my favorite combinations this time of year. I love this faux fur vest and I love that it has pockets. Looking so pretty and stylish in this outfit! 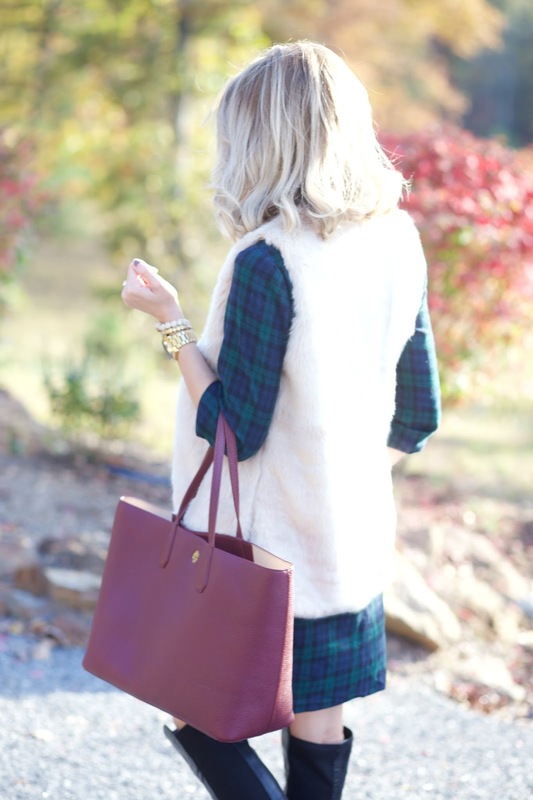 Love that plaid shirt dress! The faux fur was a perfect finishing touch - so adorable! Such a cute fall dress. Love the fur and plaid combo. Perfect for fall. That vest is amazing. It looks super comfy!! I want all your clothes in my closet asap! Seriously great vest. You're gorgeous! What a lovely outfit! it's so chic, that bag is gorgeous. Those boots are amazing !! Love them thanks for sharing ! Gorgeous Jade! I love everything about this outfit and your bag!